Around every shoreline in the World you will find mullet. The sleek grey shapes will be ghosting in and out of harbours, grazing algae from the rocks, rooting in the gloopy mud of estuaries, skimming scum from the water surface or simply basking in the warm shallow water as the tide creeps in over your favourite beach. What you will rarely see is an angler fishing for them. Of course, in the tropics, you may encounter someone with a cast net trying to catch them for bait or in the Mediterranean people with barbaric multi-hooked tackles may be attempting to snag them for their next meal. Even commercial fishermen occasionally seine tonnes at a time to be used as fishmeal or sold cheaply at the local market. Rarely will you see anyone trying to tempt them to take a baited hook or an artificial lure simply for the sport that they provide. Do they provide sport? 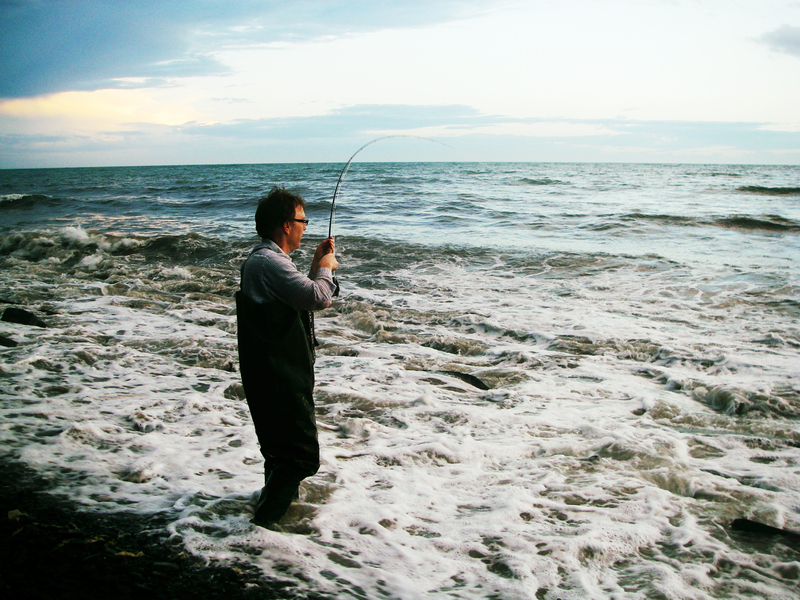 The fables associated with mullet seem designed to create a barrier to anglers. “You can’t catch them because they have soft mouths! Here in the UK we have three species of grey mullet. The thicklip (Crenimugil labrosus), the thinlip (Liza ramada) and the golden (Liza aurata). To the untrained eye they may appear to be identical. The streamlined, silver-grey striped flanks, toothless rubbery lips, powerful muscular bodies and broad sweeping tailfins are universal badges of the mullet clan throughout the oceans of the World. None of the species grow to a huge size. Here on the south coast of England the thicklip may reach three or four kilograms. The widespread flathead mullet (Mugil cephalus) (known as grey mullet in New Zealand) is one of the largest and may attain about 8kg in weight. Many others are a good deal smaller but without exception they can fight like tigers on suitable tackle. As sport fish they are almost unsurpassed. Only the fabled bonefish is likely to drag line from your reel harder and faster. So, what’s the secret to catching these mythical creatures? If you want to succeed you must be as versatile as the mullet themselves. I can only give a few examples from my own experience. The golden grey mullet, our smallest, feeds over shallow, warm beaches and in lagoons. They will take legered small ragworms (nereids), so they may be caught using fairly conventional methods. There’s no need for heavy lines. Hooks, as for all mullet fishing, should be small (size 8 or less). Larger hooks tend to tear the thin membrane behind the lip – hence the myth of the ‘soft mouth’. Our other two species are less obliging and need other methods. 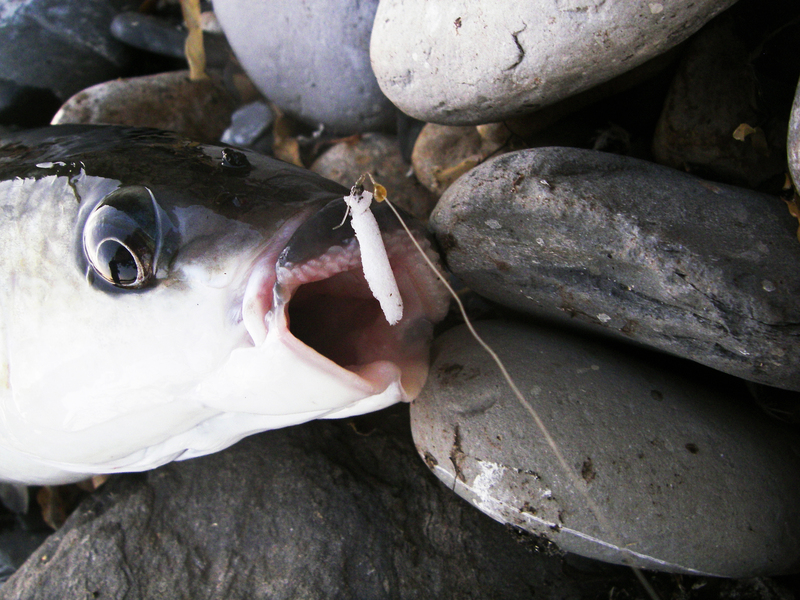 The thin lip, an estuarine species which enters river to feed on diatom algae in the warmer months, can be caught readily by using a baited spinner. A size two or three silver Mepps with the treble hook replaced by a small single is baited with a short length of ragworm (pieces of clam or prawn also work). The fish chase the spinner and take the worm. Worms alone are MUCH less effective and spinners alone are useless. The combination can be deadly, with fish caught on almost every cast at times. The largest and most abundant British species, the thicklip, is less inclined to enter fresh water. 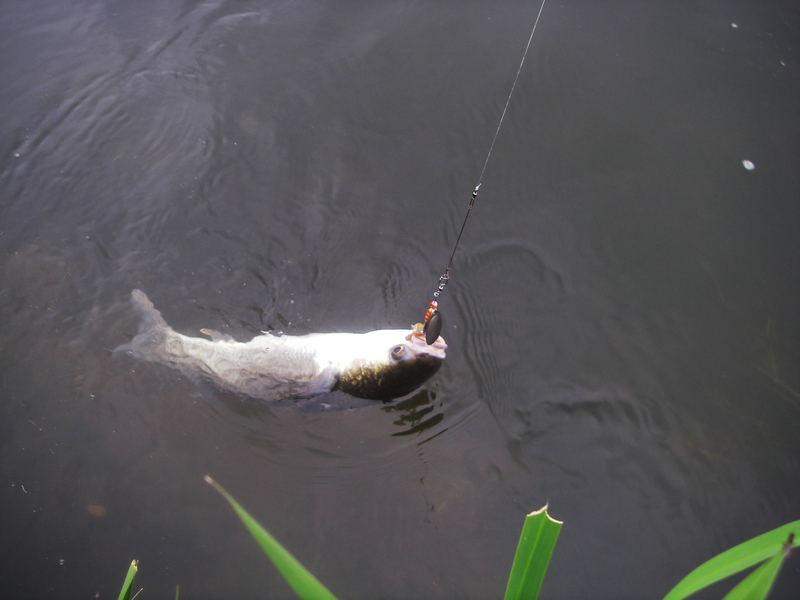 The traditional method for catching them is float fishing with bread as bait after introduction of bread-based groundbait. However, they will take bread from the water surface. Some anglers use a ‘bread fly’ to imitate a piece of floating bread after having introduced bits of crust to attract the mullet. Thicklips will also feed heavily on seaweed fly maggots and in suitable spots at the right time (several spring tides in every series) they can be caught on a tiny, dry ‘maggot fly’. The maggots enter the water from weed ‘middens’ at the high water mark. So that’s a quick summary of effective mullet methods on this side of the globe. There are many others but which ones would be best for yellow eyed mullet or grey mullet (we call all the species ‘grey’ mullets over here) I don’t know. All that I can say is that they’re worth a try and if you manage to ‘crack it’ fantastic sport is assured. Believe me there’s nothing like it when you feel the rod bend and hear the scream of the reel as another muscle bound mullet heads for the horizon. Hi Leonardo, The article was commissioned by AANZ and written for NZ anglers by Dr. Mike Ladle. 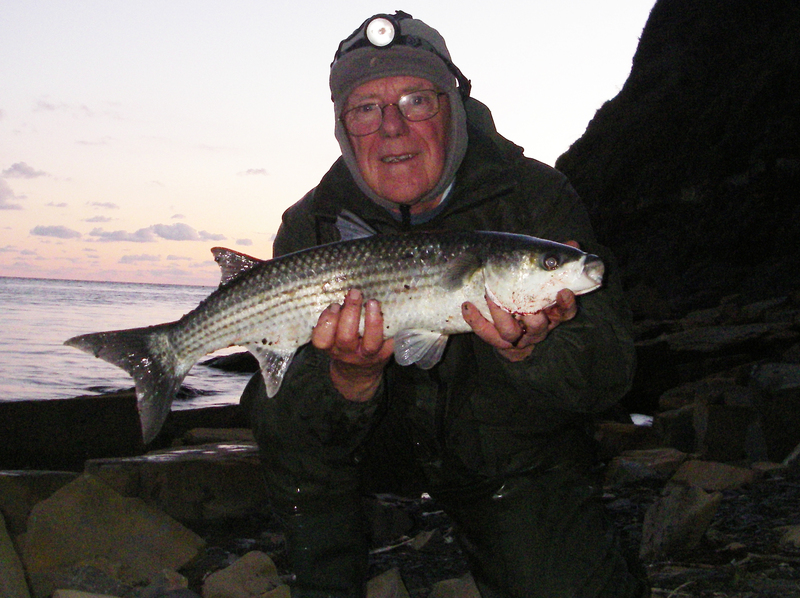 He is based in the UK, has written many angling books and fishes extensively throughout Europe. Knowing Mike as well as I do, I’m sure he has regularly seen people in the Meditteranean jagging with trebles, just like I have seen the same thing in NZ. You make a very good point though and it is wrong to make sweeping generalisations. Apologies for any offence caused. I will take more care to edit out controversial comments in future. Tight lines, Alan.